The clinical research market is booming and the variety and number of clinical research jobs available are rapidly increasing. As a result, there is more pressure on clinical recruitment agencies, as well as internal Talent Acquisition and HR professionals to fill these urgent and essential roles. Employers and recruiters within this industry are extremely busy and have a great number of potential candidates to review, so each CV is likely to receive little detailed attention. Therefore, it is crucial that you are able to grab their attention within the first few lines. We’ve compiled some useful tips on how to make your clinical research CV stand out against the competition. The first paragraph is the first and most important part that a recruiter will focus on. If they can’t find what they are looking for in this paragraph, they are unlikely to continue reviewing your CV. Studies show that only 6 seconds are spent on the “fit/ no fit” assessment of a CV so this paragraph is your (only!) chance to emphasise the most relevant experience you have for the role that you’re applying for. For more information, check out ProClinical’s guide for writing a CV. Keep this paragraph short yet focused with factual information about your key skills and experience in clinical research, and what type of role is of interest to you. Ensure that the job title for the position you seek is included in this paragraph, along with ‘buzz’ terms that relate directly to the skills required. 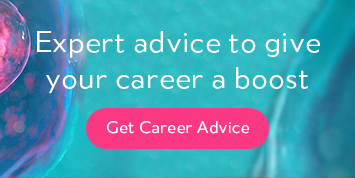 Be sure to mention your career goals so that employers can also match your needs to the role, for instance, if you are looking to take on more responsibility or move into another area. Example: Seasoned project manager professional with 5 years’ experience in a cross functional project management role at an international level. Worked both in pharma and CROs at local, regional, and global level and looking to progress into a more senior role. Using one or two key terms specific to clinical research or your area of expertise/interest will also help to bring your CV to the top of the pile. As the reader will be scanning over your CV, it should include bullet points and relevant information only. A good, clear structure will make sure that you are noticed immediately, and your suitability to the role will be evaluated quickly and effectively. If a recruiter finds it difficult to extract relevant information from your CV, you are not likely to be successful. Make their job as easy as possible, and in return you will be placed in a role that best suits you. While it’s true that employers value your hobbies and interests outside of work, ultimately it’s your skills and experience that will secure you an interview, so keep this information brief and concise. Your employment history and qualifications should have dates. It’s important not to just enter in years, but months and years, as ‘2001 to 2002’ could mean anything from 24 months or 2 months. Make sure the difference is clear to show the amount of experience. Handy hint: most portals process Word documents more easily, so it’s not usually advisable to use PDF format. Also, avoid sending in a scanned PDF copy! Click here to download ProClinical’s free CV template to get you started. Everybody is proud of their academic achievements, but it’s best not to overcrowd your CV with all the courses you have taken from school to your PhD. Keep it short and include only relevant information, such as your degree and professional qualifications relevant to the specific role. If you want to include any publications, create and attach a separate document as it will make your CV too long to read. Example: similar responsibilities to the previous role, i.e. monitoring from start-up to close-out. Be sure to emphasise the therapy areas and phases you have worked on, which would most likely have differed from one role to another. Especially for a CRA or a CPM role, chances are that you will be asked a lot of questions around your therapy areas and indications experience. Make sure that all of your TAs, phases and indications are clearly mentioned on your CV. A study form at the bottom of your CV will suffice. This is often essential for many of the permanent roles and freelance CRA, CTM and PM roles that ProClinical is looking to fill. For example, a recruiter is looking for a freelance CRA who can start working for their client on a very specific systemic lupus trial. If you have only broadly mentioned therapy areas on your CV and have not stated actual indications, they may pass over your CV, assuming you don’t have relevant experience. It might be tempting to copy and paste your current job description but, chances are, you may not have not done everything on that list, or you have had other responsibilities not listed that are worth mentioning. You don’t want to mislead the recruiter into thinking you are suitable for a role that you may not be interested in, or have the right skillset for. It can waste time for both parties. If you are a Senior CTM looking to get a PM role, be open about it. It’s not wise to state your responsibilities to include, for example, budgeting and bid defence meetings presentations, if you do not have this experience. Instead, try to identify the transferrable skills that would make you a suitable candidate. Example: Global Senior CTM on a phase II oncology study, conducted in 12 countries. I have been a PM backup for several months and undertaken a PMP course. Ideally, you should include previous managers or peers who can provide a reference for your skills and work ethic. Try not to copy and paste LinkedIn recommendations, as recruiters can read these if you provide a link to your profile on your CV. It’s crucial to review and re-read your CV several times before sending to a recruiter or employer. Check that it reads well and that the grammar, spelling and punctuation are correct. You’ll be surprised how many mistakes are found right next to ‘attention to detail’! ProClinical has new clinical research roles available daily at many leading life sciences organisations, including pharmaceutical, medical device, biotech and clinical research organisations (CROs). Have a look at current clinical research positions or send us your CV now so we can match your profile against new and existing roles.